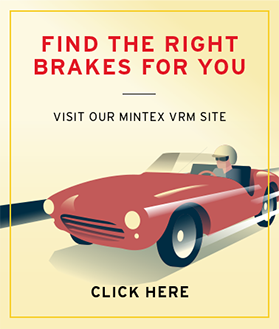 Renowned brake friction manufacturer, Mintex, invites you to step back in time and discover how the disc brake and brake pad was developed. Starring chief test driver and development engineer for Jaguar Cars, Norman Dewis OBE and legendary racing driver, Sir Stirling Moss OBE; the film takes you through the challenges and breakthrough moments of creating a momentous system that revolutionised the automotive industry. Mintex worked with Dunlop and Jaguar to develop the disc brake which is now standard fitment on virtually all cars today. History in the braking discusses the invention of the disc brake, the trials and tribulations along with fun and interesting anecdotes from Norman and Stirling. Renowned brake friction manufacturer, Mintex, invites you to step back i time and discover how the disc brake and brake pad was developed. Mintex worked with Dunlop and Jaguar to develop the disc brake which is now standard fitment on virtually all cars today. 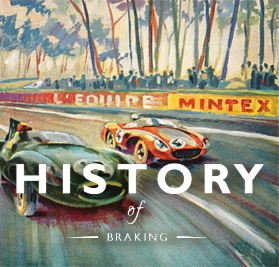 History in the braking discusses the invention of the disc brake, the trials and tribulations along with fun and interesting anecdotes from Normal and Stirling.